Barb Helland, Associate Director of Advanced Scientific Computing Research, announced the formation of the RAPIDS Institute as part of her presentation to ASCAC. 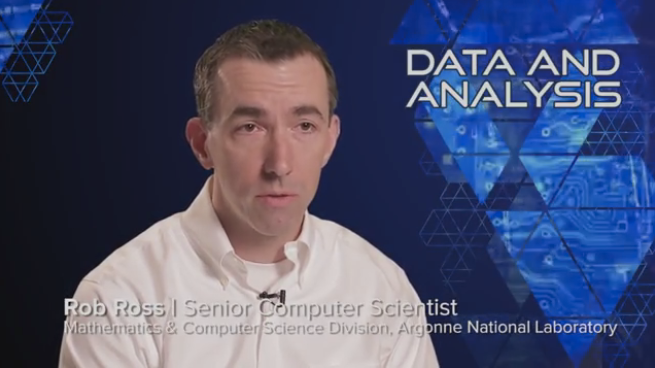 The objective of RAPIDS is to assist Office of Science (SC) application teams in overcoming computer science and data challenges in the use of DOE supercomputing resources to achieve science breakthroughs. 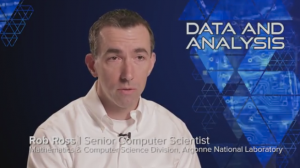 To accomplish this objective, the Institute will solve computer science and data technical challenges for SciDAC and SC science teams, work directly with SC scientists and DOE facilities to adopt and support our technologies, and coordinate with other DOE computer science and applied mathematics activities to maximize impact on SC science. I’m serving as Director of RAPIDS, with Lenny Oliker serving as Deputy Director and many talented researchers contributing their skills. See the web site for more information. The Greater Chicago Area Systems Research Workshop (GCASR) grew to 350 attendees from university and industry last year, bringing together the top systems researchers and industry technologists in the Chicago area. This year promises to be bigger and better! 20 Expert speakers also present on leading technology and research on data science, deep learning and graphics hardware, cloud and data centers, security and reliability, scalable computing systems, and more! Thanks to our sponsors: KCG, EMC, Intel, Chicago Innovation Exchange, and UChicago CERES Center. 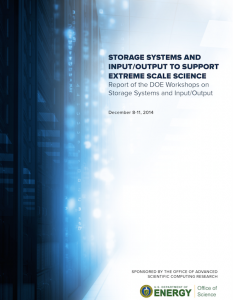 ASCR just recently posted a call for proposals in the area of Storage Systems and I/O, following the release of the workshop report. There are two versions of the call, one for Labs and one for Universities and others. We’ve started doing a series of highlight videos on research in our division. Many thanks to Jim Corsolini and Dan Harris for editing my rambling into a coherent story. I don’t read a log of blogs. Adrian Coyler’s the morning paper is excellent. He summarizes a CS paper basically every week day, makes good (IMO) picks, and his summaries are very readable. I doubt me linking to his blog is going to generate significant new traffic for him, but it’s the least I can do. 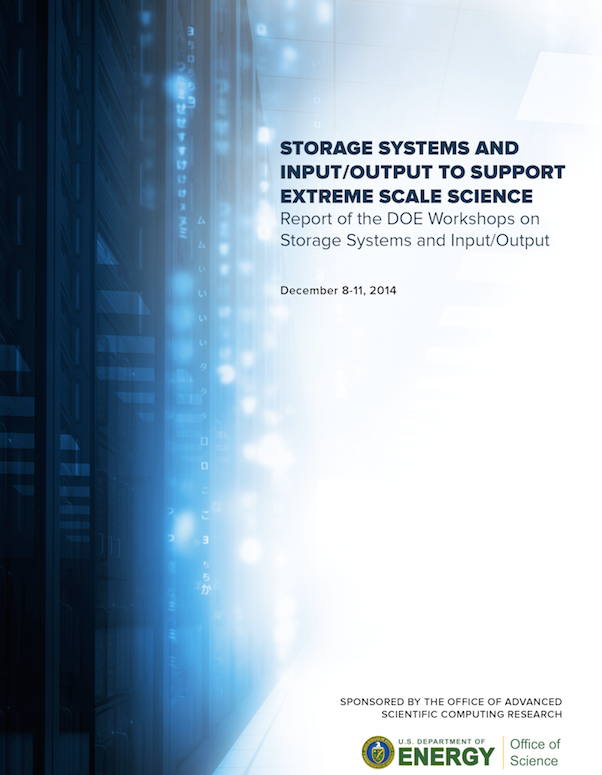 Back in December, I had the opportunity to help organize a workshop series on storage systems and I/O for extreme scale science, focusing on simulation based science. ASCR has posted the report on their program documents page. I’m heavily biased, but I thought the discussion at the workshops was excellent, and I hope the report captures that well. Many thanks to Lucy Nowell for sponsoring the meeting and my co-organizers and the attendees for all the work leading to this. Bob Johnson in the Environmental Science division at ANL has organized a workshop on the convergence of HPC and Geospatial Analysis. The meeting has been a good opportunity to learn one another’s language and concerns, and to consider how current and future HPC platforms might be employed to address computationally intensive components of geospatial workflows. My presentation, a short intro to HPC storage and analysis, is available here. 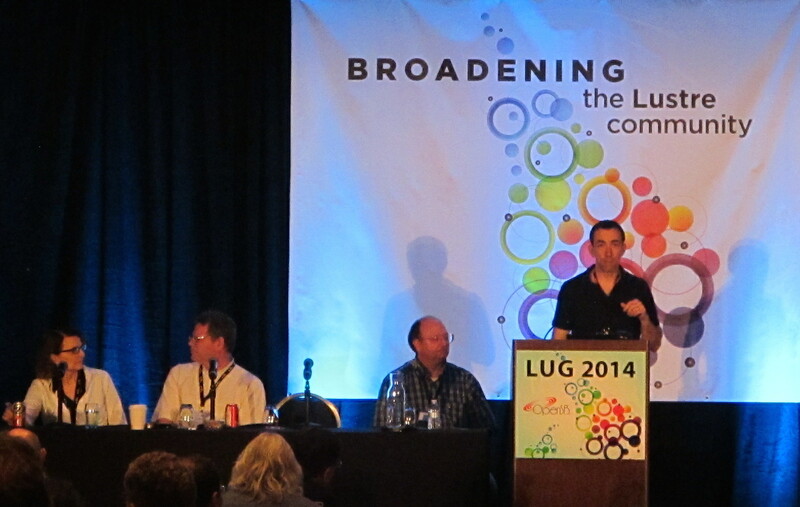 The Lustre User Group organizers kindly invited me to participate on a panel with Al Geist, Lee Ward, and Terri Quinn regarding future HPC systems and the role of parallel file systems. Great discussion! Slides should be available here soon. For the second year, Argonne is organizing a two-week program on extreme scale computing. This year the program will be held on August 3-15, 2014 in the Chicago area. This is a unique program that brings together experts on tools and techniques in extreme-scale computing to give students an understanding of how things really work on big systems and for complex science codes. Rob Latham and I have organized one day of discussion around data, with our colleagues Avery Ching of Facebook, Quincey Koziol of the HDF Group, and Steve Tuecke of the University of Chicago. The program is free, and domestic airfare, meals, and lodging are provided. Prospective students should apply here. Deadline is March 31st! Hank Hoffmann and I are organizing the 3rd Annual Greater Chicago Area System Research Workshop (GCASR 2014) at the University of Chicago on May 19th, 2014. The workshop is a great place for researchers from all around the Chicago area, to meet and share their experiences. The format includes presentations and poster sessions, and submissions for both are being accepted until April 11th. If you’re in the general vicinity and are working in systems research, we hope you will consider attending and submitting a presentation or poster on your work!